In early April I participated in the Spur festival in Toronto. This year, I had to restrict myself to just a couple of programs – a documentary on WB Yeats and a panel discussion on journalism. 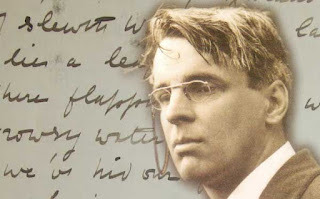 The film A Vision: The Life and Death of WB Yeats (2013) by Alan Gilsenan. “The film is a response to Yeats' vast body of work. A visual – and avowedly experimental – ‘film-poem’, to coin an uneasy term. Using solely the words of WB Yeats, the filmmakers attempted to take the viewer on a cinematic journey of sorts into Yeats’ extraordinary imagination. 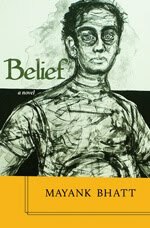 Yeats is important to many Indians, especially those over 60, and with some interest in poetry. My father, Meghnad Bhatt, a poet in Gujarati language, loved Yeats. Whenever he was invited to a wedding, he’d write his own unique message of greeting, but each message always ended with the line ‘tread softly for you tread on dreams’. I picked up the line without knowing it is from Yeats’s poem. A journalist friend who had done English literature and had studied Yeats gave me a collection of Yeats poems in the 1980s. The collection was meant to be an introduction for neophytes and had some of his best and most cherished poems. Even a cursory reading of Yeats would reveal his comprehensive influence on 20th-century modern thought. His Second Coming is one of the most anthologized poems in English continues to be as relevant today, nearly a century later. It was written in the aftermath of the First World War. Here’s just the first stanza. In the Wild Old Wicked Man, he captures the essence of life’s struggles. Or child hid in the womb. The audio recording of the panel discussion was done at the Spur festival. I don't have any copyright over the recording.